I APOLOGIZE FOR THIS LP SHARE. THE LP HAD SOME STATIC I WAS NOT ABLE TO GET RID OF WITH MY SOFTWARE WITHOUT HAVING SOUND QUALITY LOSSES. 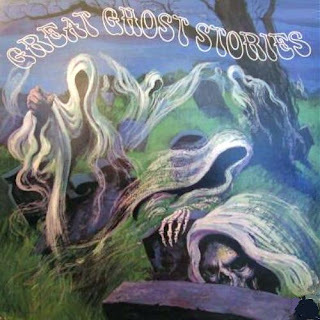 HOWEVER, IT IS OVERALL A VERY GOOD LISTEN FOR SUCH A RARE LP. THE AMAZING CHAN AND THE CHAN CLAN!! 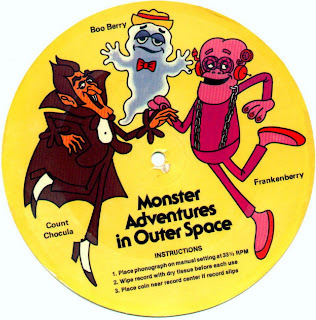 Songs from the Hanna-Barbera Cartoon Series! "Hi. By request, here is my homemade CD of all the songs (mostly snippets, unfortunately) from the 1973 cartoon series "The Amazing Chan and the Chan Clan." Ron Dante, the singing voice of the Archies, was also the voice behind these songs. Unfortunately, no records were ever issued. I took the songs you hear directly from my old videotapes, and I include my custom artwork in the folder. Don't expect much from the sound, but it is listenable. If they aired complete songs, you get 'em. If they only aired snippets, you get 'em. The themes sound great because they were sourced from "TV Theme" CDs. Enjoy!! 18. 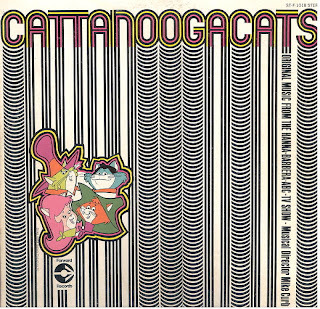 THE AMAZING CHAN AND THE CHAN CLAN- Long Version"
THE CATTANOOGA CATS!! Cartoon LP Plus 16 Bonus Tracks! "Hi. 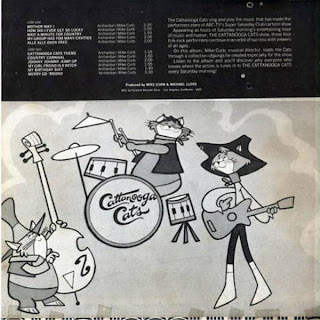 The Cattanooga Cats were yet another band that played their gigs on Saturday mornings instead of on Saturday nights! The cartoon cats were always one of my faves. Combining elements of bubblegum, sunshine pop, soul and even country, they were sort of like a cartoon Lovin' Spoonful. 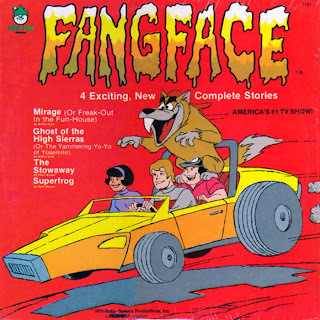 The Hanna-Barbera series ran on ABC-TV in 1969. Sunshine pop guru Mike Curb was the musical director. From my vinyl rip I give you their only album, plus 16 TV-only bonus tracks. Original album cover art is in the folder along with some extra cool pics. Enjoy! 27. THE STORY OF MY LIFE"
This was a request by Anonymous. Jason had posted these LP HERE. 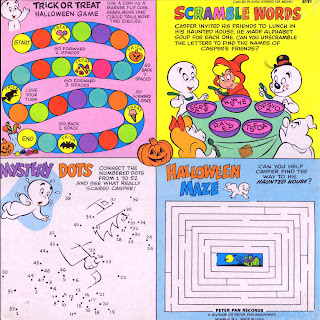 I had the Haunted House Tales LP myself so I was able to do a back cover scan also. I thought i had lost the Demon Of Darkness file, but I just found it in an area of my files that it wasn't supposed to be. I never did own this record though so all I have are the files that Jason shared in his file. CAPTAIN KANGAROO'S TREASURE HOUSE!! The 1962 Peter Pan LP Plus Bonus Track! "Hi. Of the many albums that were made around "Captain Kangaroo," this is my favorite. This children's album was released in 1962, and reflects the personality of the long-running TV classic better than any other that I've heard. After five years of playing the silent role of Clarabel the Clown on "The Howdy Doody Show," Robert Keeshan brought his own creation "Captain Kangaroo" to CBS-TV in 1955. The Captain was a "grandfatherly" character, played by Keeshan, who lived in The Treasure House. As each episode began, you would hear the jingling of the Captain's giant keys which would open the big Treasure House doors and transport you to an hour of fun and adventure. The cast of characters included Mr. Green Jeans, a farmer who would visit and tell stories. Actor Lumpy Brannum was a perfect fit for Green Jeans' country humor. The versatile Cosmo Allegretti rounded out the cast in a variety of roles that included Mr. Moose, a talking moose that told knock-knock jokes and brought a shower of ping pong balls down on the Captain in nearly every show. Allegretti was also the voice of Grandfather Clock and the puppeteer behind Bunny Rabbit. The show featured cartoons (remember "Tom Terrific"? ), nursery rhymes, singalongs, marching, the reading of children's books, and most importantly, a moral to live by in every storyline. For thirty years (the longest running children's series in history), "Captain Kangaroo" taught kids how to have fun and respect each other, their parents, and God at the same time. 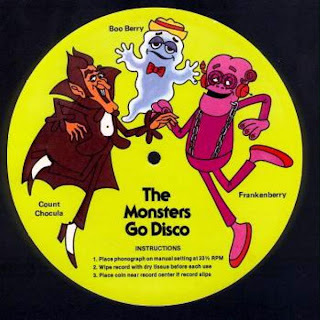 Keeshan would often remind children to say their prayers on the show, and even ends this record with that reminder. He truly cared for the children, and this love was evident in the way he presented the show and the many charities that he would sponsor. Robert Keeshan passed away in 2004 at the age of 76, and I dedicate this post lovingly to his memory. TRACK LISTING: 01. THE TREASURE HOUSE KEYS/ KNOCK-KNOCK/ WHEN A BUNNY WANTS A CARROT/ CLOCK TALK/ THE TREASURE HOUSE BAND ON PARADE, 02. THE INVENTION/ THE MUSICAL MOOSE/ THE TALE OF THE TOOTLE-BIRD (AN OPERA), 03. 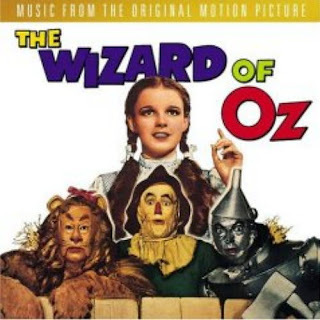 CAPTAIN KANGAROO THEME SONG (BONUS TRACK)." "Hi. 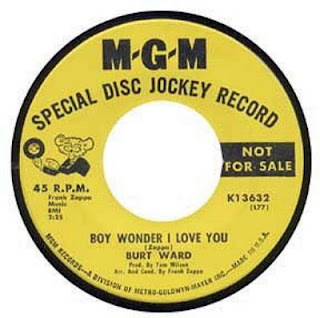 In November 1966, at the height of Batmania, Burt "Robin" Ward recorded and released a single for MGM Records called "Boy Wonder I Love You." It features Burt reading "fan letters" over the musical backing of...The Mothers of Invention! Yes, that's right. Frank Zappa even wrote and arranged the song, as well as conducting what would come to be known as The Boy Wonder Sessions. The great Tom Wilson (Dylan's "Bringing It All Back Home") was the producer. The single has become quite a collector's item for both Batman and Zappa collectors. In recent years, the rest of the sessions have surfaced, giving us demos, an unreleased second single, and Zappa's instrumental backing tracks for proposed but unfinished songs with Burt. Here are the sessions, kicking off with the single. A pic of the original record label is in the folder. Enjoy! TRACK LISTING: 01. BOY WONDER I LOVE YOU, 02. ORANGE COLOURED SKY, 03. THE COMEDIAN (BACKING TRACK #1), 04. 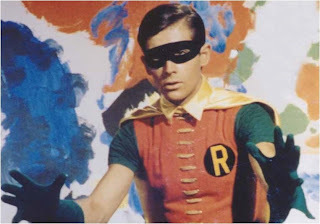 BOY WONDER I LOVE YOU (DEMO), 05. ORANGE COLOURED SKY (DEMO), 06. TEENAGE BILL OF RIGHTS, 07. TEARS COME FROM LOVING YOU (BACKING TRACK), 08. I LOVE (BACKING TRACK),09. THE COMEDIAN (BACKING TRACK #2), 10. VARIOUS FALSE STARTS"
"Hi. 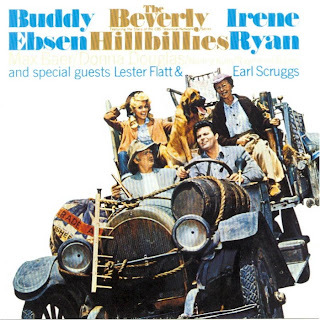 "The Beverly Hillbillies" is another one of my all-time favorite TV series. Creator Paul Henning's brand of country bumpkin humor was both hilarious and endearing. We all know the "fish-out-of-water" storyline...poor mountaineer Jed Clampett strikes oil and moves his family to a jetset neighborhood in Beverly Hills, California. Buddy Ebsen played Jed perfectly, with an age-old wisdom hiding behind his apparent naivete. 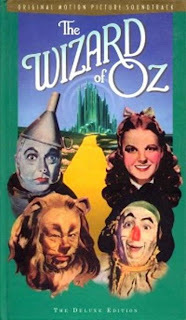 Irene Ryan's Granny was feisty and irresistable, Donna Douglas was beautiful and charming as Jed's tomboy daughter Elly May, and Max Baer was a hoot as cousin Jethro Bodine, the family genius with a "sixth grade education" to his credit. Add to this mix Raymond Bailey, who had me in stitches as Mr. Drysdale, the paranoid banker who looked after the Clampetts' assets. Drysdale employed a secretary named "Miss Jane" Hathaway, whom he assigned to "refine" the Clampetts and teach them how to blend in with Beverly Hills high society. Actress Nancy Culp's Miss Jane had her hands full with this task, but relished the challenge and was essential in highlighting the cultural differences that formed the basis of the show's humor. 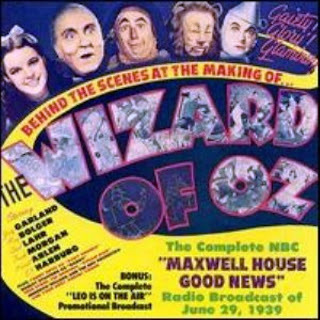 The series ran on CBS-TV from 1962-1971. In 1965, Harmony Records released an album that featured the entire cast in a musical setting. With the bluegrass backing of Flatt & Scruggs, our stars sing and joke their way through songs written primarily by radio personality and musician Zeke Manners, with help from Henning and Ebsen. While the songs are hit and miss, the cast are always in character and always on target. 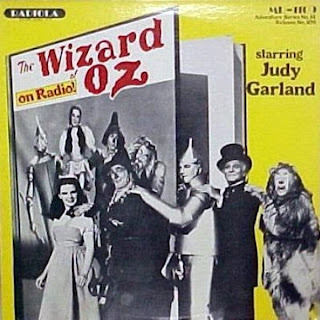 The original album cover art and other cast photos are included in the folder. Enjoy! TRACK LISTING: 01. THE BALLAD OF JED CLAMPETT- Lester Flatt and Earl Scruggs, 02. BEVERLY HILLS- Entire Cast, 03. VITTLES- Granny and Cast, 04. A LONG TALK WITH THAT BOY- Jed and Jethro, 05. JETHRO'S A POWERFUL MAN- Jed and Jethro, 06. ELLY'S SPRING SONG- Elly and Cast, 07. BACK HOME USA- Jed and Cast, 08. CRITTERS- Entire Cast, 09. DOCTOR GRANNY- Entire Cast, 10. LADY LESSONS- Elly, Jane and Cast, 11. BIRDS AN' BEES- Elly and Cast, 12. LOVE OF MONEY- Jane and Mr. Drysdale, 13. THE BALLAD OF JED CLAMPETT (REPRISE)- Lester Flatt and Earl Scruggs." 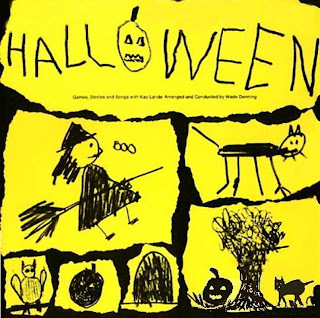 This one is a little different than the CD version with a similar cover. 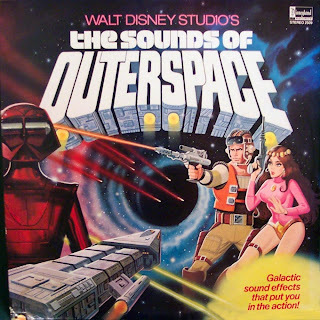 This LP contains dialogue from the movie as well as songs. 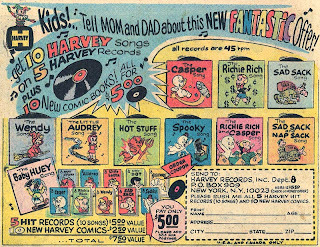 This is another of a long line of Saturday morning cartoon LPs that came out in the 60's and 70's. Jason shared these flexis records HERE. Not much info about this 1975 LP anywhere that I could find. 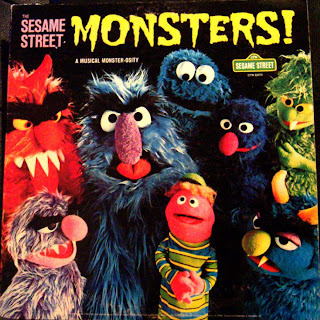 The LP back says it was Sesame Streets' way of parents giving their kids ready access to all of the Monster songs they'd come to love from the show. 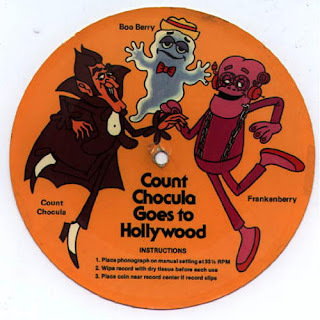 Here we have one of the most hard to find of all of the COLPIX Hanna-Barbera LPs. The only one harder to find is the very first one "Ruff And Reddy". "Treasure Of Sarah's Mattress" is a story written by Daws Butler, and Don Messick. All of my online searching tells me that this never was an actual Quick Draw McGraw episode. 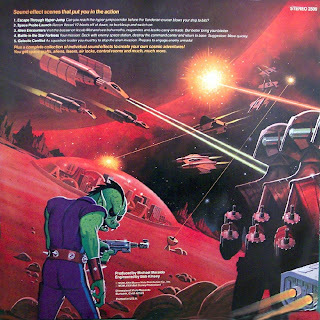 And that the "Original TV Soundtrack" graphic is missing from the front of this LP that can be seen on most of the other COLPIX Records. It only says "Original TV Voices". The LP liner notes say that.."Butler and Messick decided it would be fun to write a story which would bring all the leading characters together, rather than have them heard in separate segments, as in their own cartoon episodes". 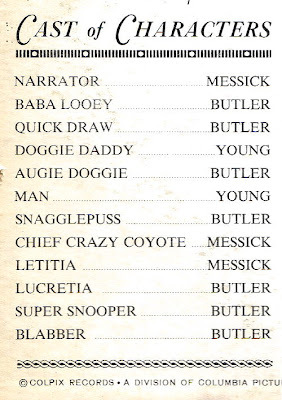 The third voice actor listed is Doug Young who was not only the voice of "Doggie Daddy", but also "Ding-a-ling" from the Hokey Wolf cartoon. The gang runs out of gas near an old abandoned air field. 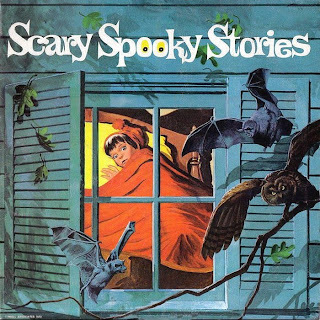 The local caretaker tells them about the Ghostly Space ship that's been terrorizing the air field. So the gang decides to investigate. THIS IS A RIP OF THE CARTOON VIDEO (NOT INTENDED TO IMPLY IT IS AN OFFICIAL SOUNDTRACK). This COLPIX LP features soundtrack rips from 2 Top Cat shows. THIS LP IS MORE FAVORED WITH TOP CAT FANS THAN THE "TOP CAT TELLS ROBIN HOOD" HB RECORD BECAUSE THIS COLPIX LP, UNLIKE THE HBR LP, USES ALL OF THE ORIGINAL VOICE ACTORS FROM THE CARTOON.